Historic farm machinery needs to be looked after through careful conservation decisions and writing down its history. 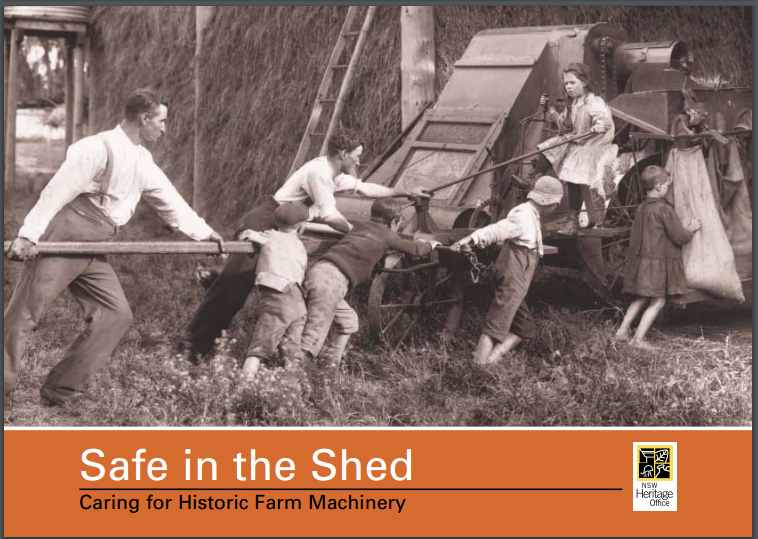 Safe in the Shed, a joint publication by the Heritage Branch and Ministry for the Arts, provides some practical advice on how to record and care for farm machinery. This publication is for museums and historical societies with heritage collections, museum advisors and private collectors. It also aims to help farmers and anyone interested in historic farm machinery to capture stories and record and care for the machinery in their region.